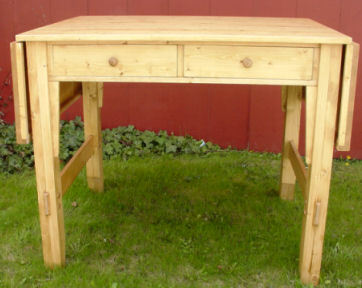 This tall drop leaf table has four drawers, two on each side, for storage. 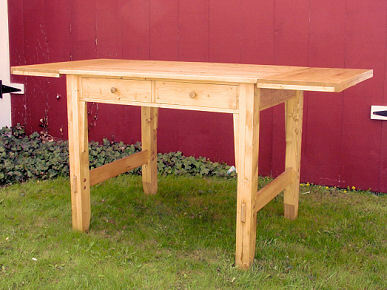 It is like a country bistro table at 36 inches tall and 36 inches wide. It expands from 42 inches closed to 72 inches fully open. It is very stable and sturdy.